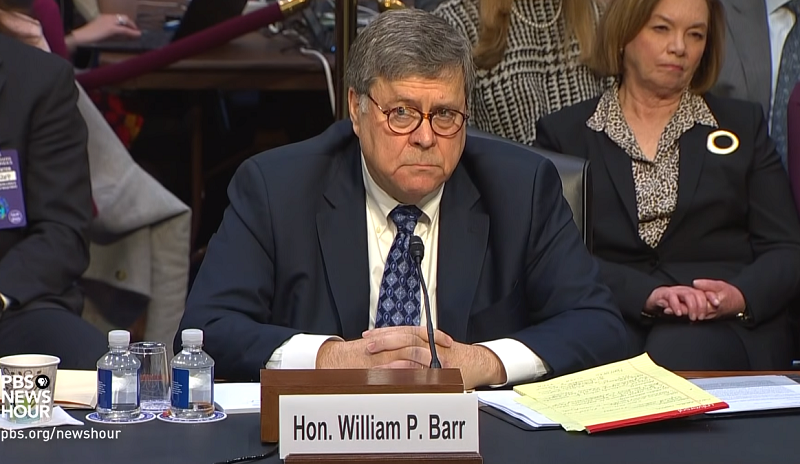 Summary: In his Senate confirmation hearing for attorney general on Tuesday, William Barr vowed not to fire — without just cause — special counsel Robert Mueller, nor interfere with the probe into Russian election meddling. Barr, President Donald Trump’s nominee, is hoping to win confirmation for a job he first held nearly three decades ago under President George H.W. Bush. If confirmed again, Barr will replace Jeff Sessions, who, right after the midterm elections, was fired. Trump was livid with Sessions for recusing himself from the Russia investigation. As attorney general, Barr would oversee the special counsel’s probe. Democrats pressed him about his decision last June to send an unsolicited memo to the Justice Department. It criticized Robert Mueller’s focus on Trump’s alleged obstruction of justice. “My memo was narrow, explaining my thinking on a specific obstruction of justice theory under a single statute that I thought, based on media reports, the special counsel might be considering,” Barr said. review aid articles Governing the USA covering presidency; cabinet; congress; constitution etc. Can be combined as part of a review or used individually to supplement lesson materials. Included in the unit is a PowerPoint Presentation and corresponding note sheet.